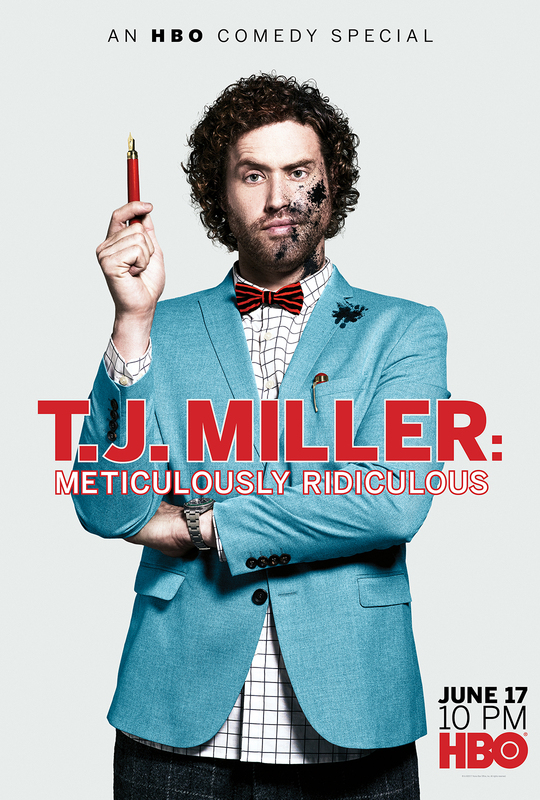 Miller, as funny in his gesticulations and expressions as in his punchlines, bounds across the stage throwing water like a Seaworld performer in the trailer for his HBO comedy special, T.J. Miller: Meticulously Ridiculous, set to debut on the network Saturday, June 17. Miller currently stars as Erlich Bachman in the HBO sitcom Silicon Valley and has upcoming roles in Ready Player One, The Emoji Movie and How to Train Your Dragon 3. Watch the raucous trailer above and read our 2016 feature on Miller here. You can also check out the key art for his special below.